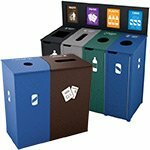 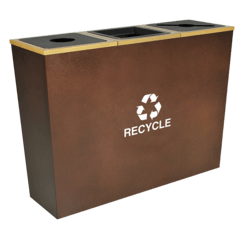 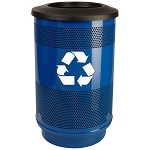 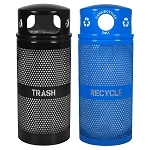 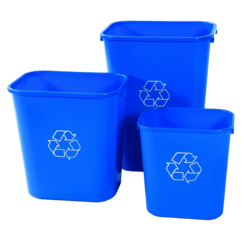 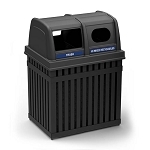 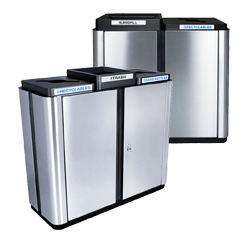 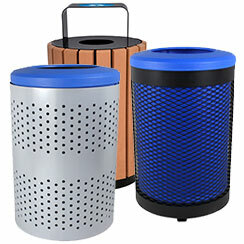 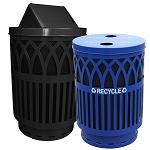 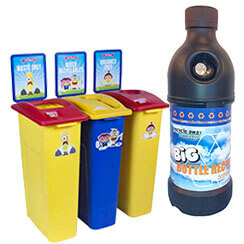 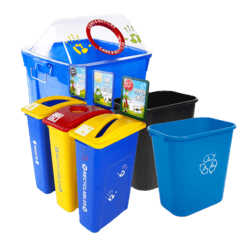 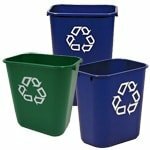 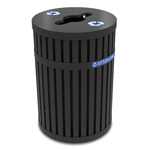 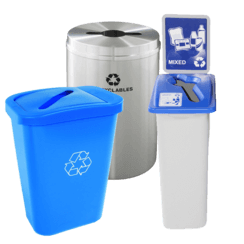 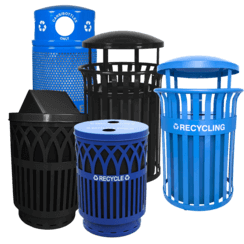 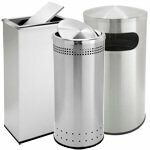 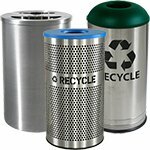 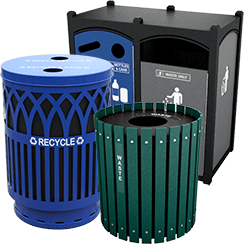 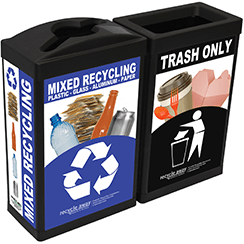 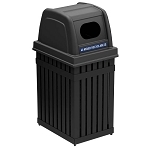 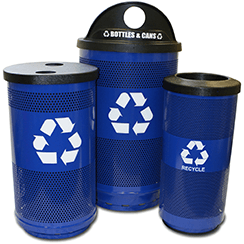 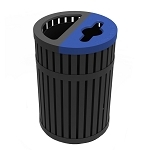 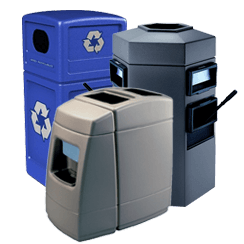 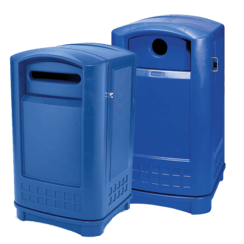 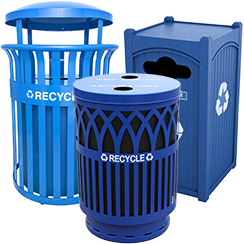 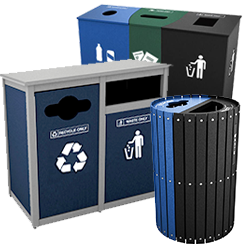 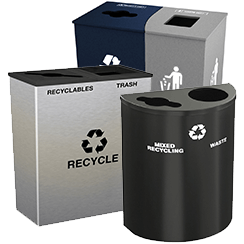 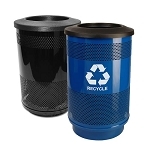 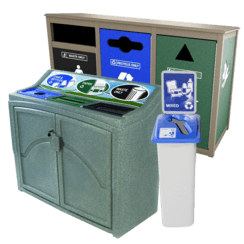 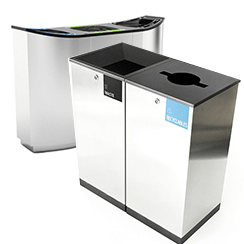 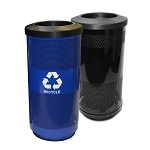 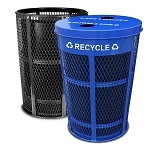 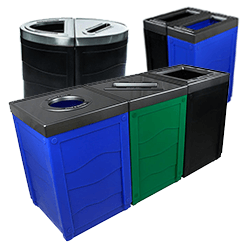 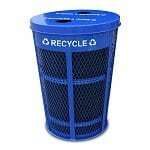 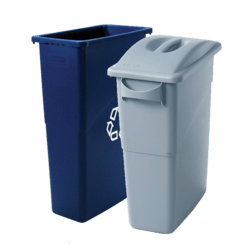 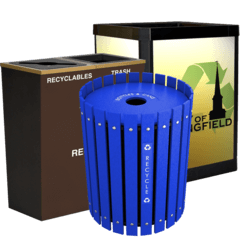 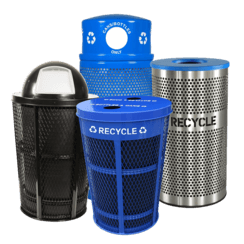 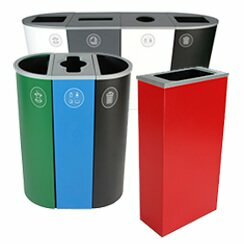 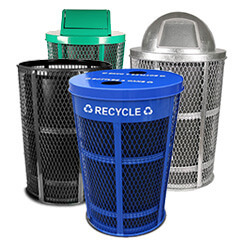 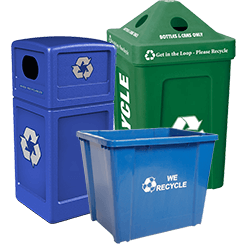 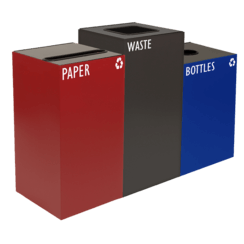 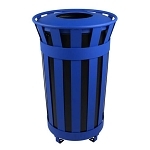 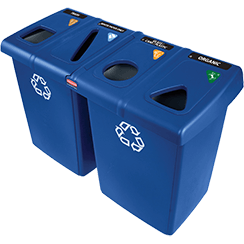 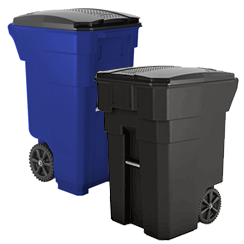 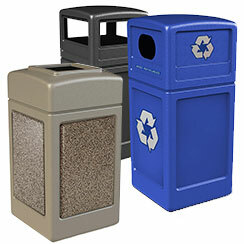 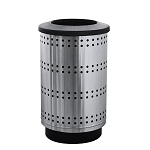 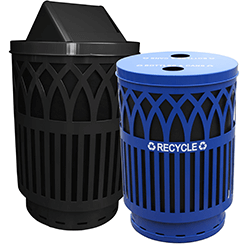 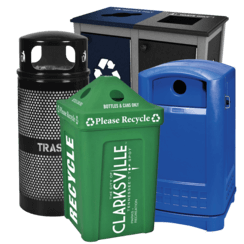 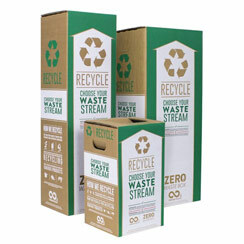 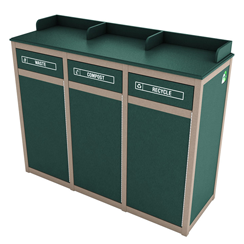 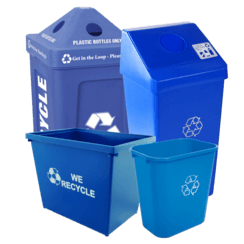 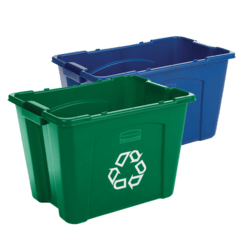 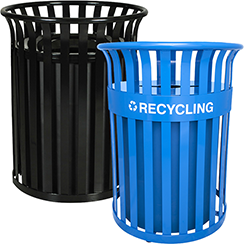 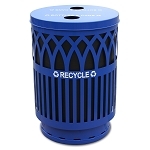 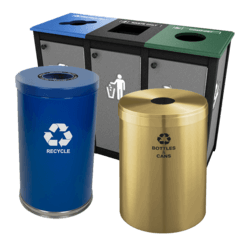 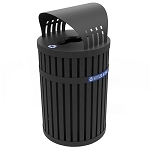 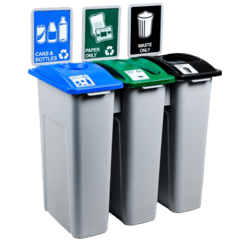 Heavy-gauge steel recycling bins are an attractive addition to your recycling program. 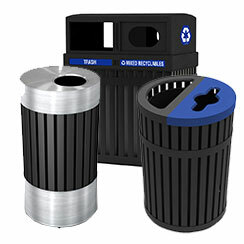 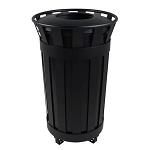 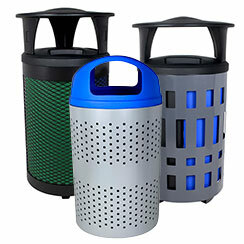 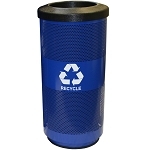 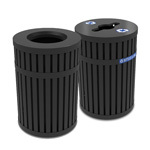 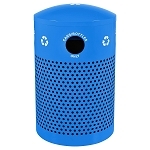 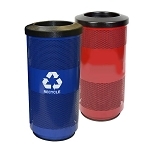 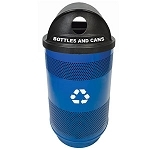 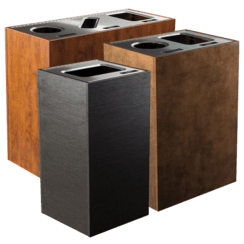 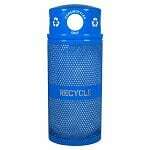 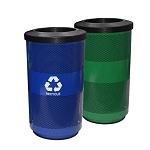 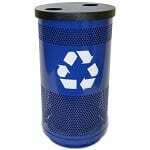 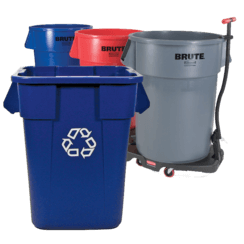 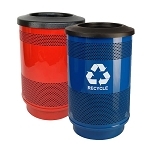 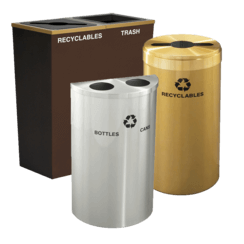 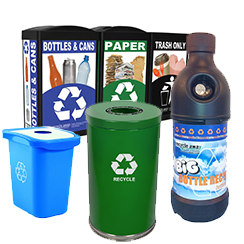 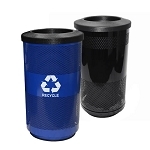 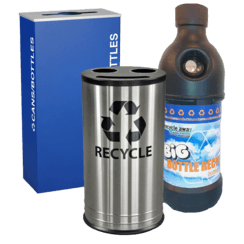 The durability of steel recycling containers is unmatched, whether for indoor or outdoor use. 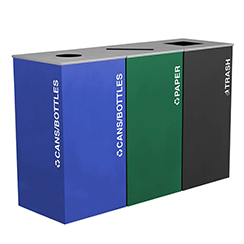 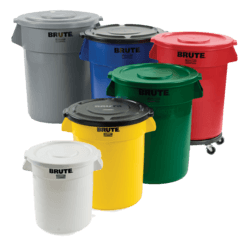 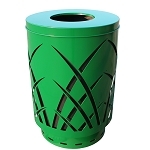 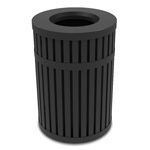 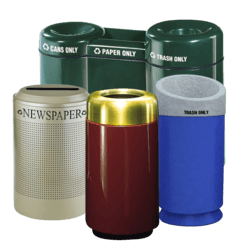 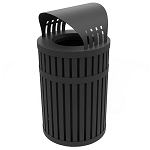 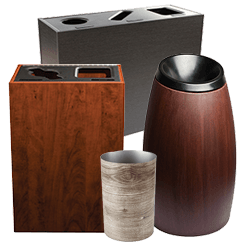 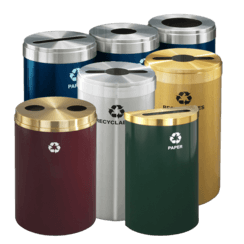 This assortment of long-lasting, modern and classic style containers are perfect for national parks, office complexes, outdoor recreation areas, playgrounds, oceanside resorts, public beaches, sports stadiums, downtown municipal areas and much more.